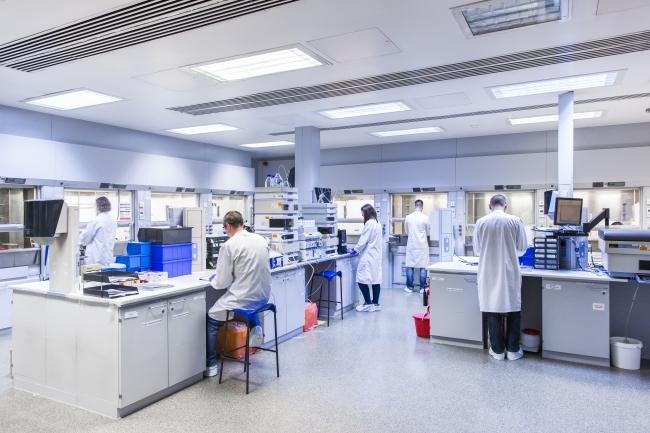 Almac Group, the global contract development and manufacturing organisation, today announced the acquisition of 100% shares of BioClin Laboratories, an independent and privately-owned organisation based in Garrycastle, Athlone. The announcement came just days after Almac announced it was set to create 200 new jobs after securing Government approval and a license at it’s Loughborough site to produce various drugs. BioClin was established in 2002 and is internationally recognised for providing expert analytical services and rapid reporting of data to support drug development and product release. Its bespoke 14,000sq ft modern facility significantly increases Almac’s analytical capacity and perfectly complements its existing business enabling strategic expansion and greater ability to serve clients’ needs globally. The acquisition will see BioClin’s analytical experts join Almac Sciences’ strong network of almost 600 employees across multiple sites in Europe and North America. This acquisition is also the second announcement of investment in Ireland and comes after theannouncednnouned a multi-million euro expansion of Almac owned, Arran Chemical Company, also based in Athlone, which substantially increased Almac’s manufacturing capacity for fine chemicals, pharmaceutical intermediates and advanced building blocks.